Visitors come to Sárvár to visit its spa, castle, churches, arboretum, park and lake. 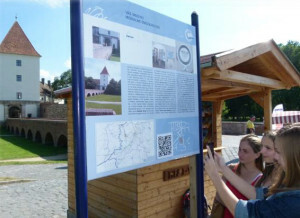 The winning student research project from Hungary in 2014 determined that Sárvár would benefit from greater use of QR code* technology enabling visitors to read on their smartphones or tablets about the town’s attractions they visit. The recommendations of the five students who created the project have now been implemented by the tourist town, a fantastic example of how Global Travel and Tourism Partnership pupils can make a positive impact on our society. Here we showcase how the students pursued their concept and convinced the town to adopt their ideas. 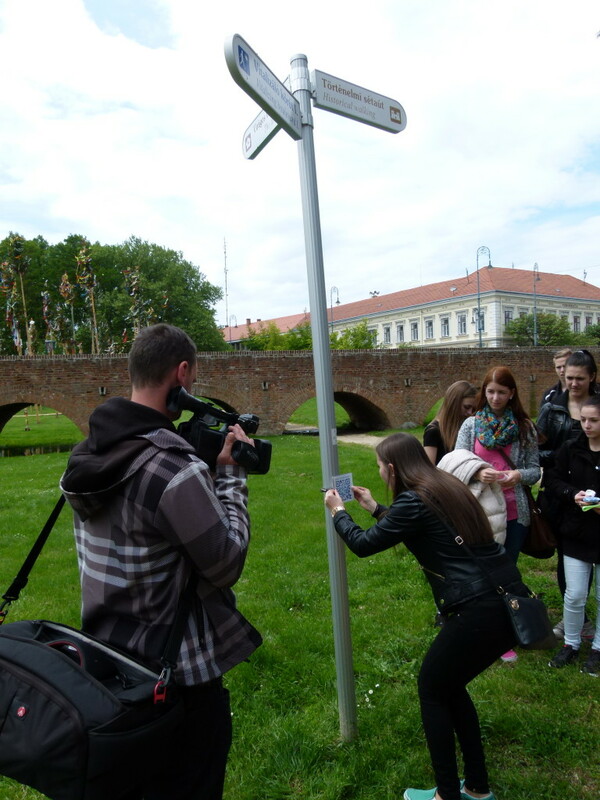 How do you take a GTTP competition school project and have it adopted as a citywide series of QR guides for visitors? Here is an image of five 2014 GTTP students. Two of them are “holding” a QR code, the kind you see pretty much everywhere. 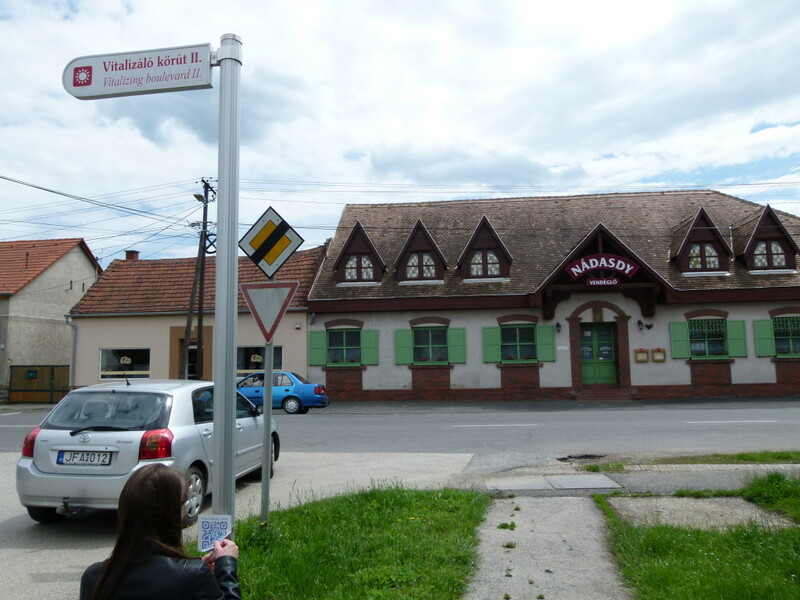 A little over a year later you can see 55 of their QR codes all over their hometown of Sárvár, Hungary, where the first book in the country was printed. The first question here is: how much information about Sárvár, population of about 16,000, can you store on a QR code that is a few centimeters square? One of the vlog brothers of YouTube fame, Hank Green, calculated you could put “All of Wikipedia on one QR code.” The only problem is that the QR code would have to be 17 kilometers x 17 kilometers square. Actually, that would be just the beginning problem. The next one is where would you put your Smart phone and its QR code scanner? (Hint: the Moon). After that it gets complicated. It’s a funny video. 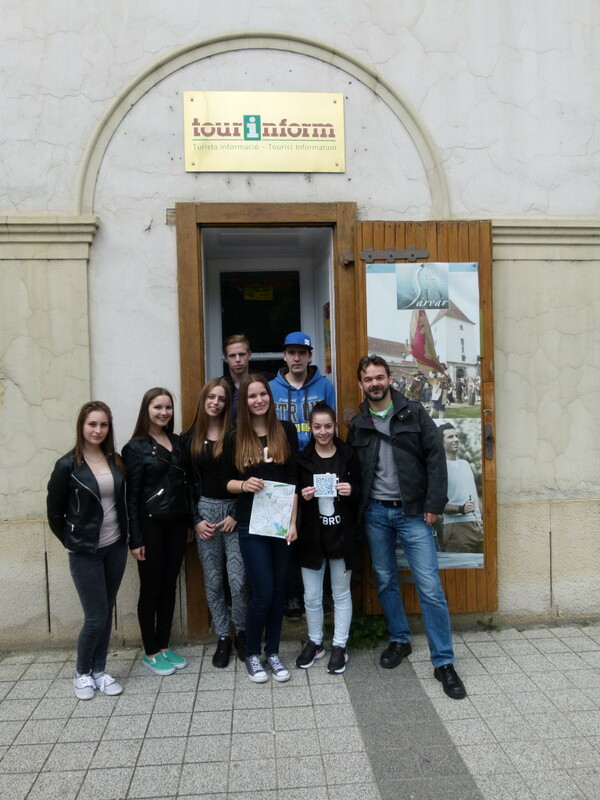 The five Hungarian students at the Tinódi Sebestyén Grammar School, which specializes in tourism studies, were more realistic. They had entered the 2014 GTTP Research Competition. The topic that year was “Technology and Sustainable Tourism.” They had read about QR codes and they decided the technology could be used to provide information easily and quickly to visitors. Take out your Smartphone or tablet that contains a QR code-reading app, then point it at the black and white square QR code located next to the fountain or castle in front of you. Listen to the click. See the information on your device’s screen. They could create what they called “The Sárvár QR Code Tour.” Technically, “generating a QR code is very easy,” the team noted. There are many online services that create those little black and white QR squares that link the phone owner to a web page and its content. The team was smart about how they developed their project. They created questionnaires for residents to find out how interested and receptive they were to little QR squares appearing on surfaces around town. For information and advice they went to town officials involved in tourist information and to businesses that already used QR codes — and also explained the benefits of their project. They built support for their Code Tour concept. Once they got the official approval to go ahead, they worked with the local tourism destination management (TDM) organization to implement the idea. Today if you visit Sárvár 55 QR codes will guide you from the Tourinform (tourist information) office to the tour map the team created, then to the Arboretum everyone visits; Násdasdy Castle; the Museum; the town’s main square; its renovated Town Hall; the World War I memorial; the Church of Saint László, the Spa with its mineral waters, the Rowing Lake. Along the way the Tour takes advantage of QR code’s simplicity and provides information about less obviously interesting places. These are places that help define the character of a town. For example, a building where a famous poet, Géza Gárdonyi, worked as a kindergarten teacher; a blue building whose history includes being used as a hunting lodge and later a nunnery. 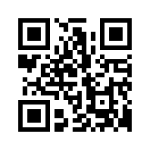 * What is a QR Code? First came the now familiar “barcode” which uses a code based on lines of varying widths to represent data. The “QR Code” is a similar but more capable technology that uses complex patterns to represent data. It was developed in 1994 by Japan’s Denso Wave Company. The name comes from the abbreviation of an English term “ Quick Response” and was first used to track the location of industrial components quickly. An advantage of the QR code is that it can be scanned from any direction; the correct positioning of the code is not important. Liliána Laczó affixing a QR code. Visitors simply scan the QR code with their smartphone or tablet and immediately a web page will appear on their device with information about the tourist spot.